Wedding couples today are seeking out unique venues in New York to provide their guests a fresh and new experience. 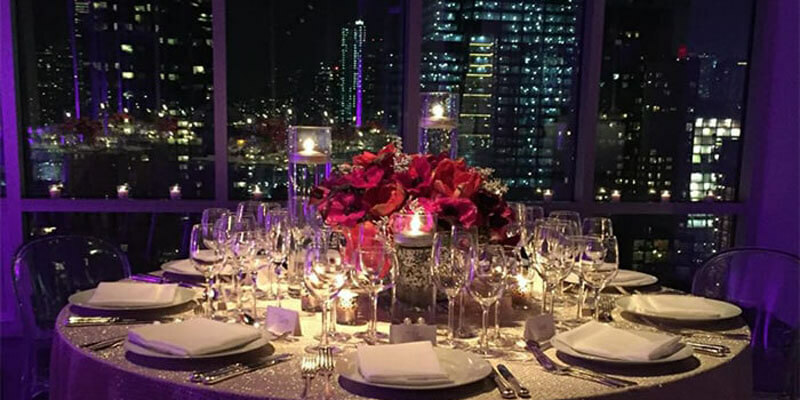 To gain insight into planning wedding at unique venues in New York, we asked expert event planner, Lindsay Landman of Lindsay Landman Events, for her advice and experience on the subject! 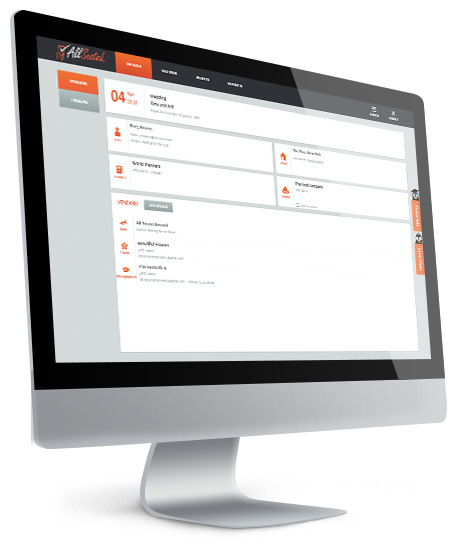 In past years, at the start of the planning process with my clients, I would often ask them to give me their “wedding words.” The words that, in their minds, would capture the vision, feelings, and things about their wedding that were most important to them. As the possibilities available for weddings have expanded exponentially and innovation has not only become accessible but expected, a spark has been ignited and couples want their weddings to feel fresh, unexpected and new, driving the desire and need for unique venues in New York. To support these creative notions, brides and grooms are hungry for venues that will allow for ultimate creativity and flexibility. Here are some of my very favorite unique venues in New York ripe for a truly personalized wedding design. 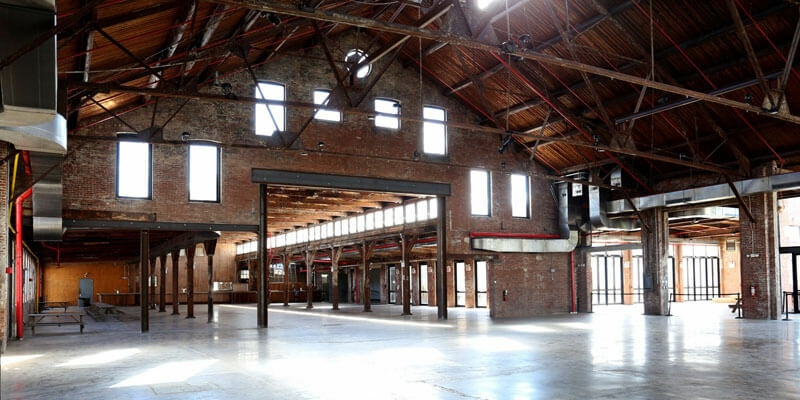 The Caldwell Factory, a unique venues in New York space, is formerly known as Cedar Lake which was for many years the home of a contemporary dance company. To support the dance practices and performances, the space was equipped like a modern theater with different rehearsal and performance venues, cavernous ceilings with extensive rigging for lights, polished concrete floors, and sound-proofed walls. Now that the dance company is gone, the space is an amazing blank canvas with a ton of personality. From the exposed brick and the steel beam ceilings to the giant garage-like door for premium street access, almost anything is possible. To cap off the creative pedigree, The Caldwell Factory, prior to housing the dance company, was famed photographer Annie Liebovitz’s studio! This Queens venue is newer on the scene after a lengthy renovation to allow it to be a premiere art and performance venue. The space is more than 50,000 feet so there are literally countless possibilities, not to mention the venue features on-site parking and outdoor space for ceremony or cocktails. I think this is an up-and-comer with endless ways to produce a truly unique wedding. 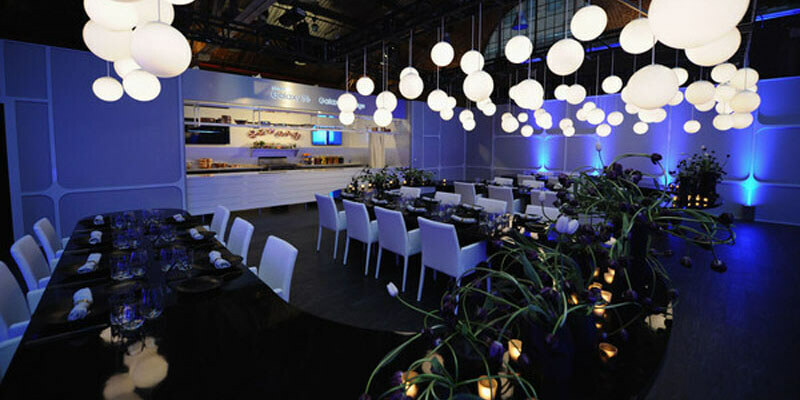 High above the buzz of lower Manhattan sits this remarkable new event venue from famed restaurateur Danny Meyer’s company Union Square Events. 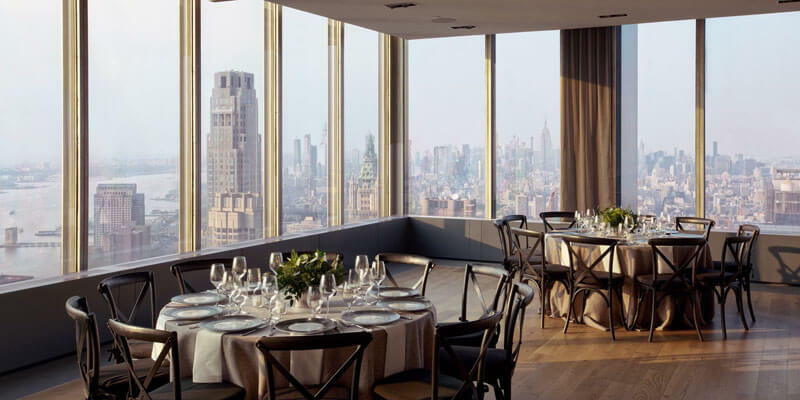 If seeking unique venues in New York, this space wraps around the 60th floor of the 28 Liberty skyscraper – and with floor-to-ceiling glass windows at every turn, the view of Manhattan and the surrounds is literally as far as the eye can see. While the view frames the space, the rest of the venue is beautifully blank, so you can create something truly original… any colors, patterns, textures and experiences will come alive in the simple design of the space. Bonus: there are huge screens built in the walls of every room in case part of your creative vibe includes a little multi-media experience. It’s not even open yet (opening Fall 2019), but this space promises to be a vast amount of indoor and outdoor space with the ultimate flexibility to build the wedding of your dreams. Super high ceilings with exposed trussing for great lighting and rigging possibilities (can you say floral ceiling treatment??) and just the right balance of raw and polished. I can’t wait to see all of the creative events that will come to life in this space!